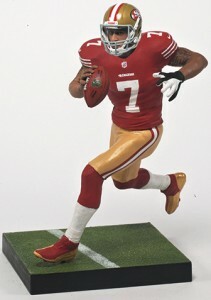 With the NFL undergoing a strong youth movement of late, it opens up the sports figure market for lots of new pieces. 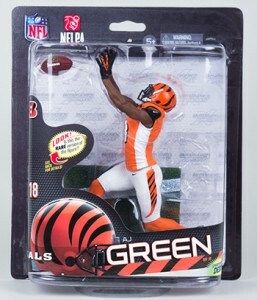 That's the approach of 2013 McFarlane NFL 33 Sports Picks. Six of the seven players in the lineup are making their debut in the line. The only one that's not? 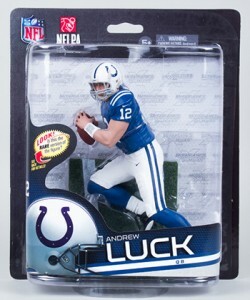 Andrew Luck, a second-year player. 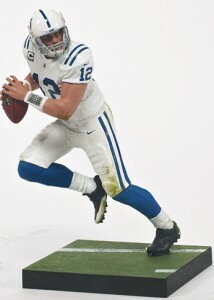 Joining the Colts phenom are a pair of other young quarterbacks, Colin Kaepernick and Russell Wilson. 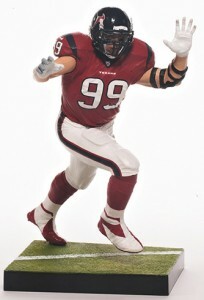 J.J. Watt, A.J. 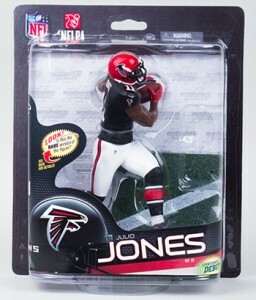 Green and Julio Jones remind collectors that 2011 was a great draft as well. 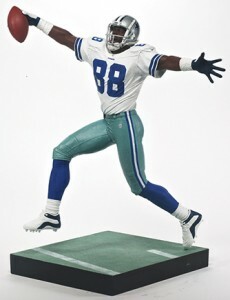 The final figure in 2013 McFarlane NFL 33 Sports Picks is Dallas Cowboys Hall of Famer, Michael Irvin. With arms spread wide, he's as animated as ever. 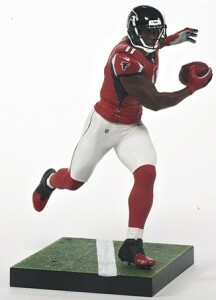 Like all Sports Picks, these highly detailed pieces are intended more for display than play. 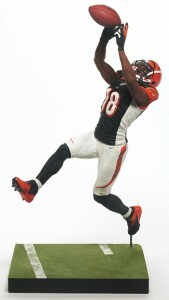 The elaborate likenesses capture not only what the player looks like, but their attitude and swagger as well. 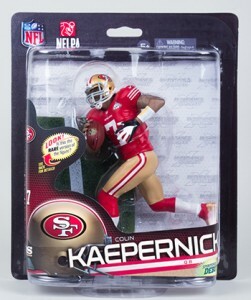 2013 McFarlane NFL 33 has a total of eight different variants. Every subject has a basic variant, most of which are alternate jerseys. 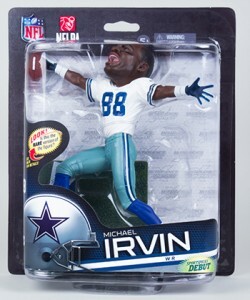 The Michael Irvin variant is the most obvious. 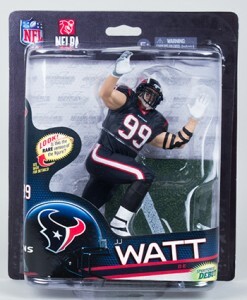 He comes with a "Big Head" version. 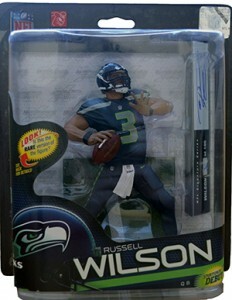 Russell Wilson has a second variation, which is also the rarest -- an autograph. 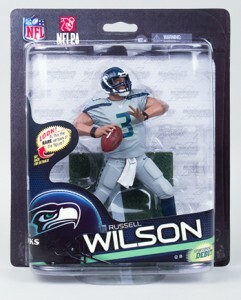 You can see all of the 2013 McFarlane NFL 33 figures below as well as shop for specific figures. Click on the tab above to see the variants. Click on the figure name or image to browse on eBay. When will we find out who the selections are for series 34? Lest see some jamall Charles, josh Gordon and Eddie lacy! Marshawn lynch. Keenan allen. An actual good megatron pose. Richard sherman. Desean jackson. Luke Kuechly. Joe haden along with the aforementioned players from jamies post,, but another AARON RODGERS ? CMON. Seriously discount double check yourself please. But another Aaron Rodgers and Peyton Manning?!?!? How about a Seahawks Lynch?? ?